The shutters on your home add a distinct style and color that highlights the windows and the whole exterior of the home. 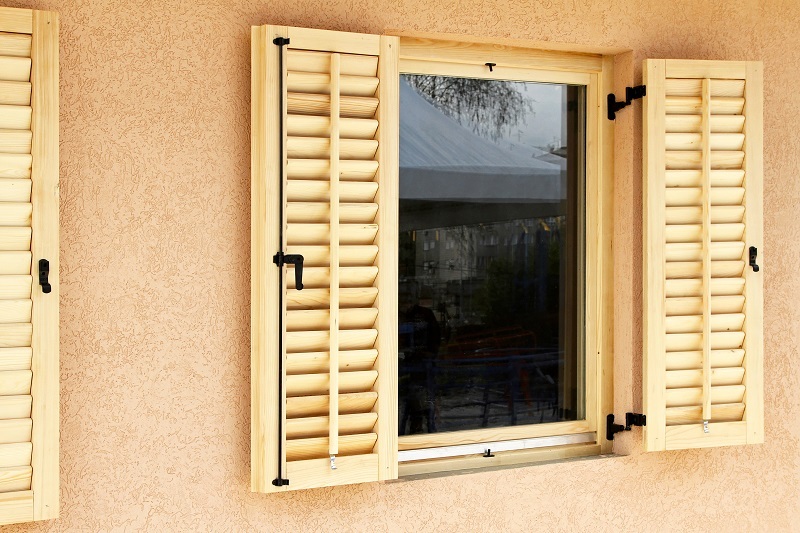 Over an extended amount of time, most shutters need some updating, in terms of washing, repair work, and/or painting. When you have your shutters painted, you help to prolong their expected lifetime, as well as improve the curb appeal of the exterior of your beautiful home. The idea of having your shutters painted, can be an overwhelming task for some homeowners. However, the chore of painting shutters is not as challenging as one might believe. The first thing that must be considered when preparing to paint the shutters, is selecting the correct type, and color, of paint. Depending on the type of material that your shutters are composed of, will depend on what type of paint to use for this project. For example, for wooden shutters, you will want to choose an exterior house paint, for metal shutters you should choose paint made for metals, and for vinyl shutters you should choose acrylic latex paint. After the paint type is selected, then you will need to pick a paint color that is complimentary to the rest of your home. If you are going to use a color that is drastically different from the existing color, then you will probably want to use a primer coat on the shutters before applying the paint. The paint on shutters will look best on surfaces that have been cleaned and dried completely before the painting process begins. In addition, it is best to paint 2-3 coats of paint onto each shutter. This coating will provide premium protection and color absorbency for an optimal appearance. Finally, each painted shutter should have time to dry completely before placing them back into position on your home again. When this project is completed, your home will look brighter and crisper than it did before, and your shutters will provide you with many more years of beauty and style. If you are interested in painting the shutters on your home feel free to contact us at Noel Painting.